If you’re like most non-profit marketers, you’re trying to use Facebook to raise awareness and donations. You’ve set up an account, tried to grow your number of connections, and have posted some content for people to comment on. In the first month or two, your fan base grew steadily. You were excited and your board was excited. But now, getting the results you originally hoped for isn’t quite as easy. Fan growth has flattened, your post quality has dropped and board members are asking, “What’s going on with Facebook?”. The good news is that you’re not alone – the Facebook honeymoon ends at some point for everyone. Now is the perfect time to review the critical steps for success on Facebook. Be very clear about goals, expectations and roles. The clearer you can paint your “picture of success” on Facebook, the more likely it will¬†manifest. Rebecca Leaman wrote a post about a one page social media plan created by Jay Baer. The plan requires marketing to ask “What’s your thing?”. What is the single THING ABOUT your nonprofit that is truly defining and interesting.¬†When you ask your supporters why they support your organization – the reason in their hearts – what’s their answer? Not a profile. Profiles are for people, Pages are for orgs. Not a Community Page – those are for experiences, like eating Nutella with a tablespoon. Not a Group. Groups are for your constituents to organize around an idea. Once you’ve created a Page, make it stand out with a custom welcome tab. Pages that have custom welcome tabs have a higher new fan¬†conversion¬†rate than Pages that don’t. Not using the discussions tab? Remove it from the tabs by editing the application settings. Same goes for the Events tab and the Reviews tab. You can always turn them back on. Facebook provides up to 600×200 pixels of space for your main image. Use that real estate to your advantage! 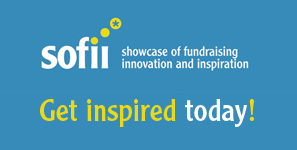 Try including a call to action, like the Brain Aneurysm Foundation did. Or outline action steps in your current campaign, like Oceana did. Leverage your assets. For example, if you have a large email list, send them a well-written email with reasons for joining your Page. Or if you have an active NING community, create an event in NING that promotes a discussion on the new Page wall. Not just a place to put useless stuff. You will only get better at Facebook if you know what works and what doesn’t. Facebook Pages include a few reports that will show you how good your content is, if you’re posting too frequently, and how much they’re sharing. Also use Google Analytics to measure traffic from Facebook to your website. Put together a small task force in your organization to reflect on Facebook results, discuss how to¬†improve,¬†and brainstorm novell uses of Facebook. Include a few Page connections in this group as well. Talk to each other face to face – not by email. 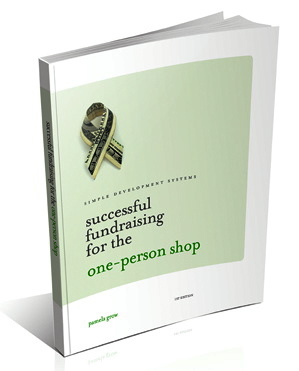 Finally, feel free to download a free copy of The Complete Facebook Guide For Small Nonprofits. John Haydon advises non-profits (and the occasional small business) how to implement marketing strategies with WordPress, Twitter, YouTube and Facebook. 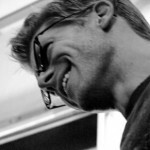 His company, Inbound Zombie in Cambridge MA, helps nonprofits leverage new media to increase awareness and fundraising. Pamela – Thanks so much for having me as a guest on your blog! Really good ideas John! The first thing I tell nonprofits about anything they are doing is to clearly define their purpose. Having a plan and knowing the “why” can definitely set up success. Thanks, John, for another thoughtful & insightful post (and thanks, Pamela, for hosting this useful discussion!). I can’t tell you how much I appreciate your emphasis on creating a page (versus a profile). I am STILL getting “friend requests” and recommendations to “friend” organizations, and simply stated I’m not interested in them having access to my personal profile information. I wonder what your thoughts are towards spacing (as in over a period of time) your organization’s posts/updates? I’ve seen a few lately that update several times in a row, and I’m curious as to the effect (if any) on their fans. Thanks again! Thank you both for brining forward tips on how to leverage such an important social media aspect for non-profits. What a great post! Thanks Pam for including it. And thank you to @johnhaydon for the helpful information. It’s simple & easy to implement. 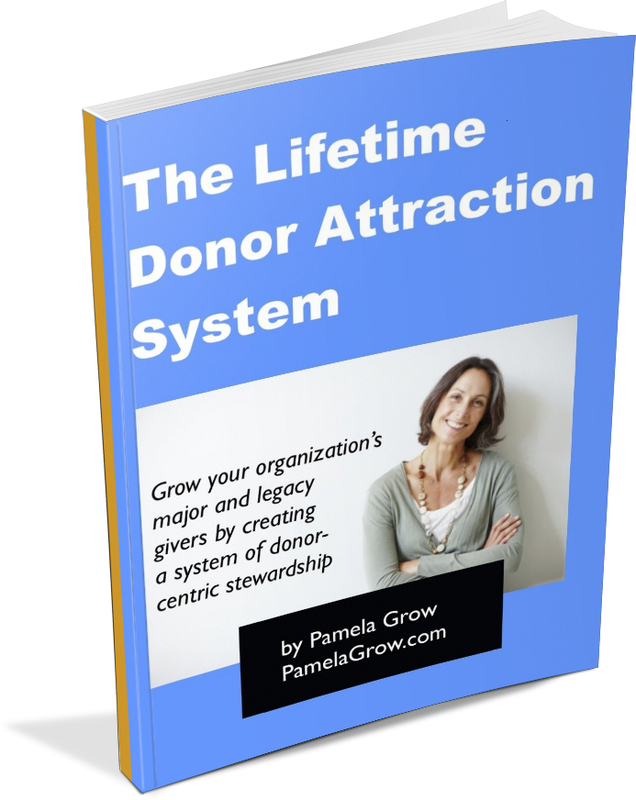 A great read for nonprofits. Mickey – I think with any communications strategy, consistency is the key. There are great tools that allow you to schedule posts and I would recommend to any non-profit having some sort of editorial calendar for what they are doing on Facebook / Twitter. And, your fans will let you know how much is too much. As John said, it’s easy to track engagement and when fans are coming and going. If you have a heavy day where you’re posting lots of things, and you notice fans drop off, you’ll be able to tell that its too much. Mickey – In terms of spacing content, I think you should start off posting once every day or two and then look at how people are responding to these posts. When Inbound Zombie launches a new Page, we look at the wall for feedback – only because Insights aren’t that meaningful until you can see trends. Over time, you’d also want to look at unsubscribes and your post quality. And Sue Anne is right, consistency is key. Don’t post every day one week and then once the week after. John, I like the Skunkworks concept. What works for one may not work as well for someone else. Having an effort to continually experiment and assess results can be key to ultimately being effective with your efforts.